The University of Texas Southwestern Medical, Department of Neurology and Neurotherapeutics is seeking an outstanding academic Neurologist to join their Neurology Clinic at their new state-of-the art clinic in Frisco, TX.Applicants can expect an opportunity for a well-balanced career in Neurology. We are seeking candidates that have a strong interest in General Neurology. Candidates must be eligible for medical licensure in the state of Texas. The successful candidate should have completed a Neurology fellowship and should be board certified by the ABPN for adult or child neurology. 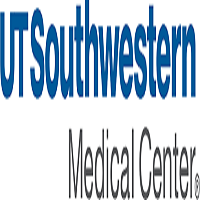 Academic rank will be commensurate with academic accomplishments and experience.The position will play a major role with the expansion of ambulatory services in the new satellite clinic in Frisco and will be functioning as a General Neurologist, with responsibilities and duties in patient activities in Neurology.UT Southwestern Medical Center ranks among the top academic medical centers in the world. Our distinguished faculty includes active Nobel Prize winners. Nearly 4.200 medical, graduate, and allied health students, residents, and postdoctoral fellows are trained each year.